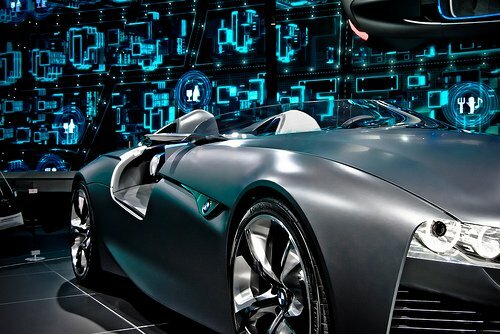 Car technology is set to be one of the next big booms, with leading manufacturers like BMW focussing on making a new wave of smart apps for their cars. The BMW i3 ConnectedDrive app is the next in line, delivering a host of cool features which tie together your whole transport experience. Giving you full control over your car, its health and your journey planning, this could be a sector-defining app. BMW recently celebrated launching their new electric car by putting on a big launch event in London. At that event they also launched the new I3 ConnectedDrive which is aimed specifically at the new BMW i Drive cars. The premise of the app is simple; connect the dots between your driving experience and the connected world we live in thanks to the smart phone in our pockets. The app will be available across Android and iOS devices. So what will the new app do? For a starter, it allows you to remotely measure the health of your car. The BMW i series are all-electric vehicles, so one neat function behind the app is the ability to check the charge status of your electric cars battery. The app can also calculate the net effect of the range extender petrol tank, giving you a cumulative total mileage left on the car. It’s a handy feature, allowing owners to check the vital stats of their BMW before they leave the house on a journey. The BMW i3 has a wealth of range extending features, all of which are accounted for within the ConnectedDrive app. So it doesn;t mater if you plan to travel in the Eco mode or the Eco Pro+ option (the latter giving you more miles per charge). That’s pretty basic in terms of the calculations, what we found to be more impressive was the apps ability to factor in your driving style as well as third-party aspects like the weather, journey terrain and other such factors. The app uses this data to allow you to plan your route with more intelligence. So it may be that you are willing to take a longer route because it is more fuel friendly on certain occasions, such as when you’re not in any great rush. Longer routes which are flatter and which traverse more favourable roads can be more efficient than shorter routes that involve steep hills. The BMW app is also a next generation navigation aid. Connecting up with the BMW i3 as well as other methods of transport (such as the tube in London, or the local bus network) the app is able to calculate the quickest route utilising other ‘intermodal’ (as BMW eloquently phrase it) transportation. Once you reach the end of the car portion of the journey, the app will aid you with parking before helping you to navigate the pavements with your smart phone. All very nifty stuff indeed. according to BMW, the app ConnectedDrive real-time is intended to properly factor in traffic as you drive, allowing it to update and inform you of worsening conditions. Such data can then be used to re-plan either your route or the methods of transport used to get there. Thus a crash on the outer ring road may lead to the recommendation to switch over to the train or tram. So the BMW vision is of a new type of travel app, one which is confined to one type of transportation even if it is devised around a car. Its meant to be better for BMW owners, more efficient, better for the environment and ultimately much more efficient. Naturally, when it comes to any electric vehicle, the owner has to keep one eye on the next nearest charging port. 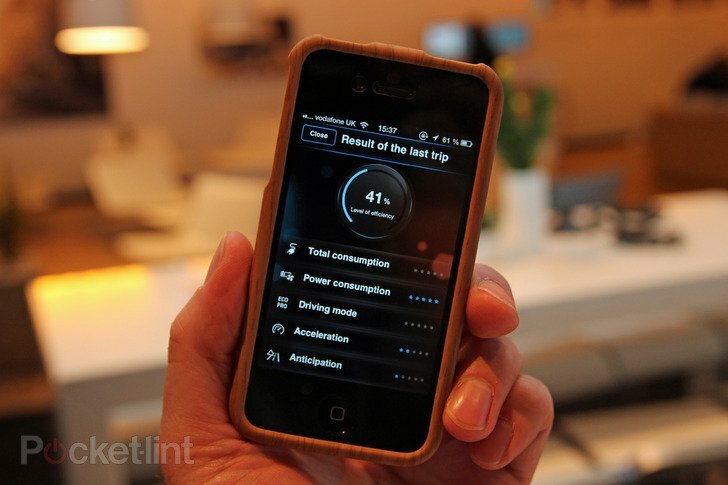 Therefore, the app will show you the nearest charging station, including those on BMW’s own ChargeNow network. BMW have also put some serious consideration into making the charging experience easier and more cost friendly. Therefore, via the app, you can program the car to own charge during off-peak hours, saving you a considerable sum on electricity. The other use of the app is in prepping the car for your arrival. Super hot day, as has been the case in London recently? no problem, use the ConnectedDrive app to turn the car’s air con on before you arrive, giving the car suitable time to cool down before you get in. The app will also work as an extension of many of the common features that you find in cars today, such as warnings for a boot left ajar or a window that’s unclosed when you exit the car. All of this leaves us with a really cool app, and one which is appears BMW are really aiming to push the envelope with. The app is connected to the BMW servers, meaning that they can remotely update it with fresh new features for you. It’s therefore to be expected that this BMW ConnectedDrive app is only going to improve over the coming months, no doubt alongside the wealth of new electric cars that BMW will sell thanks to this new innovation. Next articleAlcatel OneTouch 20.05 review: The last of the feature phones?